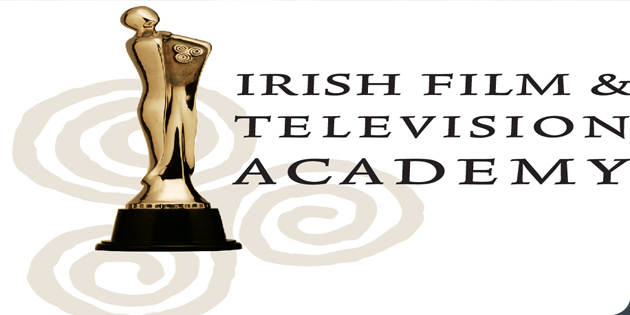 The IFTA awards are on this saturday and there are 2 editing categories. In advance of the show we take a quick look at the nominations. We are pleased to say that we had the pleasure of some of the nominees at our in conversation events over the past 12 months. Uná Ni Dhonghaíle has edited many award winning TV dramas and feature length documentaries. She has been nominated for a BAFTA in Drama Editing twice, once in 2009 for White Girl and in 2013 for Ripper Street. Una received an IFTA nomination for Dr Who in 2012. Nathan Nugent has worked as an editor since 1998. Credits include the features As if I Am Not There, Sensation, Run & Jump and What Richard Did, for which he won an IFTA for Best Editing. Recently he edited the film Frank, directed by Lenny Abrahamson, which will be released later in 2014. He was also the co-director and editor of ROG: The Ronan O’Gara Story which is nominated in the best sports category this year. Emer Reynolds, a triple-IFTA-winning film editor, is based in Dublin, Ireland. Emer has won IFTAs for Timbuktu in 2003, Channel 4’s Shameless in 2004 and My Brothers in 2011. Here Was Cuba is her third collaboration with Crossing The Line, following the multi-award winning Broken Tail and The Secret Life of the Shannon. Nick started his editing career in television news before moving onto factual TV and documentaries. After ten years working on TV projects and short films he edited his first feature film, Cherrybomb starring Rupert Grint. Recent drama credits include Nick Nickleby for the BBC, Whole Lotta Sole, and punk biopic Good Vibrations. Mick Mahon has been IFTA-nominated six times. His work includes The Writing in the Sky (2011), Saving The Titanic (2012) and Chaplin: The Waterville Picture (2011). He has recently completed the feature documentary, Rough Rider (2013). An editor for almost thirty years, Ray Roantree has worked mainly in drama and documentary for both RTÉ and BBC. He has won two IFTAs: in 2003 for The Green Fields of Vietnam (RTÉ) and in 2012 for The Ashes of 9/11 (RTÉ). In 2010 he joined the RTÉ TV Documentary Unit. Recent credits include: Battle Station and My Lockout.